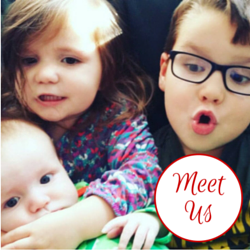 I'm a regular visitor to The Baby Show and I love the opportunity to meet up with brands and other bloggers, and to see what's new in the world of baby and toddler products. The Baby Show comes to the NEC in Birmingham from 16th to the 18th May and I will be attending next week. Professor Robert Winston – The much loved professor, medical doctor and BBC presenter will be providing tips and advice on baby development. Clare Byam-Cook – Retired nurse, midwife and breastfeeding expert, Clare will speak on breastfeeding, how it works and what to do if it goes wrong. Clare’s expertise has been called upon by a host of high profile celebrities including: Kate Winslet, Lily Allen and Helena Bonham Carter. Annabel Karmel –The leading baby nutritionist and best-selling author will discuss nutrition during pregnancy and the myths and truths of feeding. Jo Tantum – Baby sleep expert, best known for her ability to get any baby sleeping 12 hours through the night, will share her sleepytime secrets. The Natal Family - From birth workshops to baby colic, potty training to sleepless nights, dads role at birth to preparing a sibling for a new arrival, The Natal Family offers support for all stages of pregnancy and parenthood. Xaviera Plas Plooij – Daughter of authors Dr. Frans and Dr. Hetty who wrote the worldwide bestseller ‘The Wonder Weeks’, Xaviera will be discussing the 10 major, predictable, age-linked changes – or leaps – each baby goes through during the first 20 months of their lives and how to use this research to aid in baby development. If you are looking to buy tickets for the show then you can click here to book and use the code SPR to buy tickets for £11:95 instead of £20 each. 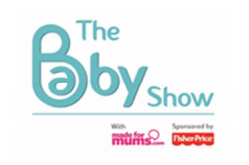 I've teamed up with The Baby Show to offer one of my readers the opportunity to win a pair of tickets to the show. To enter please complete the Gleam widget below. The blog post comment is compulsory and will unlock a range of additional entry options. Please read the terms and conditions.